Recently, CCCC Water Transportation Consultants Co., Ltd. has won the bid for the EPC contract for the ro-ro terminal in Nanshan, Sanya, Hainan Province, with a contract value of 122 million yuan and a construction period of 18 months. 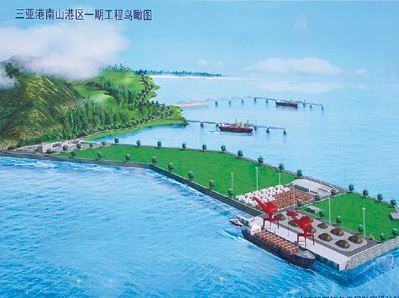 Located in Nanshan, Yacheng, Sanya, the project involves a 3000t ro-ro terminal, as well as relevant auxiliary facilities including waterway dredging, navigation and navigation aid, power supply and lighting, communication, water supply and drainage, fire protection, environmental protection, road and yard, and buildings. After completion, the project will have an annual designed through capacity of 150,000 vehicles or 500,000 tons of general cargo. The project is of positive significance to enhancing the berthing function of Nanshan zone of Sanya Port, perfecting Hainan’s water transport layout and improving the capacity for water transport protection.